Two Frogs! One Pig! Intrigue! Music! Mayhem! Muppets! There’s plenty of fun for the whole family as Kermit the Frog, Miss Piggy, Animal and the entire Muppets gang head out on a world tour. 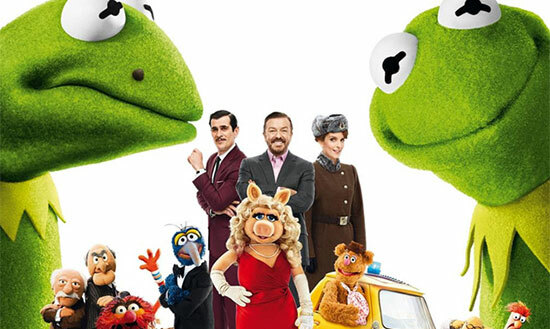 But mayhem follows the Muppets, as they find themselves unwittingly entangled in an international crime caper. Now Kermit is behind bars at the mercy of prison warden Nadya (Tina Fey), and the World’s Number One Criminal, Constantine—a dead ringer for Kermit—has taken his place. As Constantine and his dastardly sidekick Dominic (Ricky Gervais) plot the robbery of the century, they are pursued by Sam Eagle and Interpol agent Jean Pierre Napoleon (Ty Burrell). Will Constantine get away with his nefarious scheme? Will Kermit escape in time to save the day? Dressing as a muppet for this screening is definitely encouraged! Please note, this is an autism friendly screening which means the lights will remain on dimly throughout the film, the volume will be lower than usual and the audience is free to move about, eat and make noise. This film was chosen especially to screen at the festival by the young people of Giffnock based SupERkids.